AT THIS time in our progress of civilization it would seem that one of the very great factors making for the advancement of civilization in every respect and for the progress and happiness of individuals has been set aside or destroyed, or possibly only forgotten. At least it does seem that the great element and factor of "peace" is wholly neglected and in many places deliberately negated. Yet there is nothing so essential to good health, spiritual development, real happiness and advancement as the tranquility of mind and peace of the body. Fortunately, however, in the midst of the most disturbing and upset material worldly conditions, one can take one's self apart from worldly affairs and go into absolute silence in the privacy of one's home or on a mountainside and there let the consciousness rise above all of the things that are disturbing the world, and in the Cosmic realm and in a sanctum and sanctuary of the mind and soul one can find that which is not so easily found on the surface of the earth. Where can man find that tranquil peace that soothes the human mind, that gives instruction on the way, and helps those who are seeking to find? We would say, "Arise! And seek no more, for that place abides within." So draw apart the veil at once and softly enter in. There you can commune with those from that celestial clime and understand the message brought to the sons of earth throughout all time. The initiate, the adept or the master of the goal realizes the trysting place is the Temple of the Soul. We also seek to tread the path the masters once have trod, but we must enter through the Temple ere we reach the path to God. In the foregoing words the mystic contemplates the advantages and the possibilities of the Cathedral of the Soul. 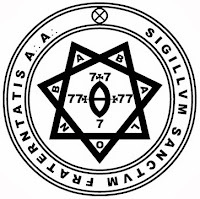 If you have not learned the ecstasy and joy and spiritual unfoldment that comes through such meditation, send for our little book, Liber 777, and find in it the ways and means and the hours of the day when you can meet with millions of other souls in such peaceful attunement and divine realization. This is the surer, better way to rise above the troubles of the day and separate yourself from all that annoys and all that disturbs. Regardless of your religious creed or doctrine, regardless of your race or color, you can meet on an equal basis in the presence of God and in the sanctuary of the soul. May we urge you at this holiday time and at this period of worldly unrest, to find the tranquility that your soul and heart desire.